A fast and easy way to get all the scenery you need is the new Infinity Scenery Packs. 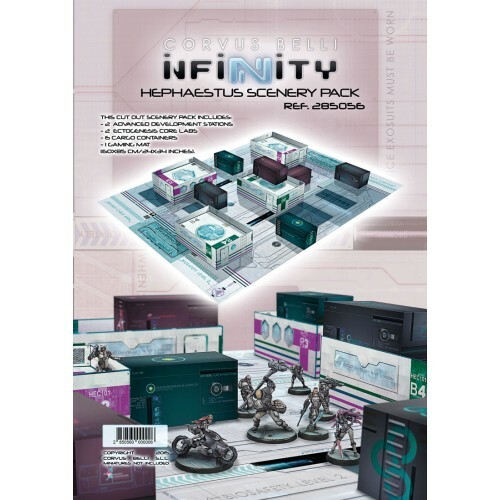 The Hephaestus Scenery Pack is the ALEPH's hyper-technological research complex. This pack contains a game-mat, six containers and four easy to assemble buildings. Ready to play!